Global Financial Integrity says Ethiopia lost US$16.5 Billion to illicit financial outflows in the last decade. New York (TADIAS) – Last week police in Ethiopia conducted a high-profile corruption sweep in Addis Ababa, the biggest of its type in the Capital in more than ten years, arresting several people, including a Minister and his deputy in charge of the Ethiopian Revenues and Customs Authority. But how big is corruption in Ethiopia on the global scale? We placed a phone call to the Washington, D.C office of Global Financial Integrity (GFI), which tracks illicit financial flows out of developing countries worldwide. 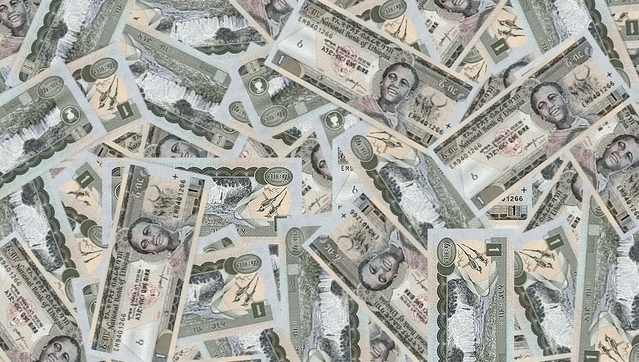 According to Clark Gascoigne, a spokesperson for GFI, the organization’s latest available research data show that the amount of money that Ethiopia lost to smuggling of cash out of the country, both by the government and the private sector between 2001 and 2010, totals 16.5 billion U.S. dollars. Mr. Gascoigne pointed out GFI’s statistics are based on official data provided by the Ethiopian government, World Bank, and IMF. “Our numbers indicate all funds that illicitly left the country in a ten year period including by individuals and private companies illegally funneling their money out of Ethiopia,” he said. Ethiopia also ranks 113 out of 176 countries in the Corruption Perception Index of Transparency International, the global civil society coalition that encourages accountability initiatives by regular citizens. Meanwhile, the Federal Anti-Corruption Commission in Ethiopia said that Melaku Fanta, a Minister and the Director General of the Ethiopian Revenues and Customs Authority, and his deputy, Gebrewahed Woldegiorgis, are two of the highest ranking officials apprehended so far on bribery, kickback, tax evasion, illegal trading and fraud accusations. The other individuals taken into custody on similar indictments in the recent roundup include Ketema Kebede, who is the proprietor of KK Trading, Simachew Kebede, owner of the Intercontinental Hotel, and investor Mihretab Abreha, as well as Nega Gebre Egziabeher of Netsa Trading PLC.